One of my goals this year is to read at least two books every month. I managed to read two in January but February has flown by and I did not manage to hit that goal. I am hoping to get back on track this month though. Why am I telling you this? One, for accountability – the fact that I have put it out there that I want to read 2 books a month gives me the more reason to do it. Check with me sometime and see if I’m on track. The second reason, which is also the main reason for this post is that a reading culture is one of the things that has transformed my life the most. I can’t measure the amount of knowledge and wisdom that I have gathered over the years from books. Any worthwhile venture I have taken can almost always be traced back to the inspiration I got from a book- that includes the conception of this blog. So today I am sharing with you some of the best books that I read last year and they literally rocked my boat. 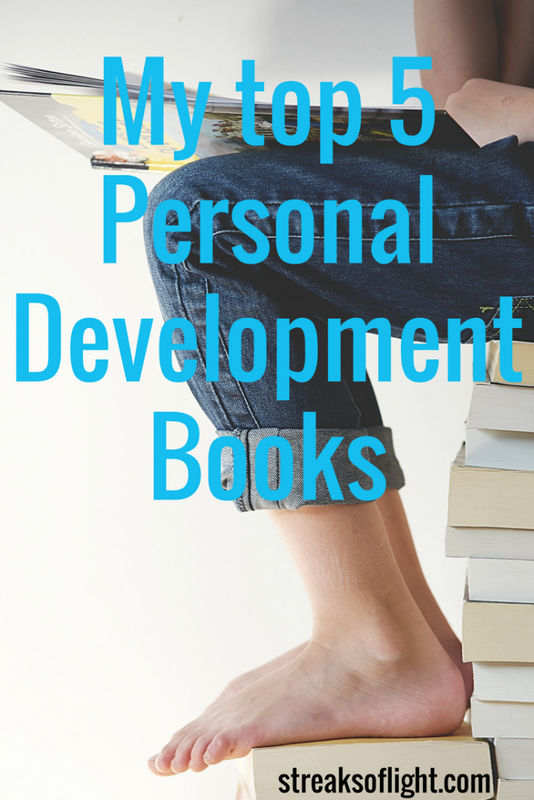 There are lots of books I like and which I could talk about all day, but for today I will dedicate this post to the top 5 personal development books that left a significant impact in my life. Well, let’s get to it, shall we? Who moved my cheese had to be my first one, I have read this book a couple of times. It is really short, enjoyable and very practical. The first time I read it, it was given to me by one of my college lecturers who was also my mentor. I loved the book so much, I have listened to the audio version, watched a short movie based on the book and I have purposed to be reading it at least once every year. The book is all about how to deal with change in your work and in your life and the consequences of staying the same in the face of change. It is a short captivating story and really, you won’t get bored reading this book. It is simple and very easy to relate to, you will end up picturing yourself in the story and applying it to your own life. Even if you are not a big fan of reading, this is a book you can actually enjoy. I remember after reading this book, I was so inspired and transformed that when a gift exchange party came up at my hubby’s workplace, guess what he got for a gift? This book, because the impact it had on me was so big that though hubby hadn’t read it himself he knew it was a treasure. This book made me redefine your definition of success and move towards a positive and peaceful life. By the time I finished reading it, I was burning with passion and more set than ever to focus on the things that really matter to me. I cannot say enough good things about this book. This one sat in my locker at work for weeks before I finally got around to reading it. I had no idea what a gem I had been sitting on. If you work a very demanding job (which I was) and hardly have time for the things that matter to you, like your relationships, this is the book for you. This book will teach you to stop doing everything and focus on your key areas of responsibility; after all, 80% of your important results will come from 20% of your goals- the 80/20 rule. If you are in a leadership role of sorts, this one will change how you manage people and help you to start seeing better results and leading a more fulfilled life. I am not kidding you. It’s one of those books I finished reading, took a deep breath and asked myself why don’t they have this as a recommended reading at workplaces? It could save people a lot of unnecessary stress. Don’t take my word for it, read it for yourself. This book is a classic on financial advice. It covers all things from savings to investments, insurance, lending to people. It is a really insightful read for anyone who needs financial advice. You will find seven practical and easy to understand principles to become rich as taught by the richest man in Babylon. If like me, you want to attain financial freedom and give more yet still have in abundance, this is the book for you. It will not only teach you how to make more money but how to protect what you have. My favorite quote from The Richest Man in Babylon:Opportunity is a haughty goddess who wastes no time with those who are unprepared. The reason I have included this book in this list is that reading it really pushed me to develop the website. Written by the Robert Kiyosaki, the author of Rich Dad Poor Dad, I did not like that it has a very promotional feel to it as it is really focused on network marketing. If you can manage to get past that, you can learn a lot about building a business. I found it easier to view the teachings as applicable to building any business rather than a network marketing business. Though this book did not convince me on network marketing, it challenged me to take action and I did by starting Streaks of Light. This book will teach you the basics of building a business that offers value to people from the ground up. By the time I finished reading the book I was charged more than ever to get out and work it. There you have it. My top 5 personal development books from my 2017 reading list. Find one that you like from this list and let it add value to your life. Make sure you also read The Top 20 Personal Development Books You Should Read This Year. This one is a must-read list, believe me. Have you read any of these books? Let me know what your views are in the comments below. If there is a book that you can recommend for me, I would love to hear that too. Leave a comment below and I will definitely check it out. **If you enjoyed this article connect with me on Facebook, Instagram, Twitter, Google+, and Pinterest. Expect daily tidbits of knowledge, quotes, and inspiration to help you on your personal growth journey. The Richest Man in Babylon is a powerful book. Let me know how you find it. Thanks for letting me know. Great books. I’ve read most of them. Thank you for sharing. You are welcome, Sharon. I am glad you have read them, I hope you enjoyed the read. The Richest Man In Babylon is the only one I have read on this list. I will read the rest of these books this year. That’s great, Tracy. I hope you get to enjoy them as much as I did. Great books.. I’ve read most on the list. It’s interesting how we both have the same 2018 goal of reading atleast two books a month. All the best dear. Have you read the Alchemist by Paulo Coelho? It’s a great read too. Wow, let’s push those goals along, I hope to actually have read 24 books by the end of the year. I haven’t read Alchemist yet, you are the second person recommending it so I really should check it out. Thank you for the recommendation.